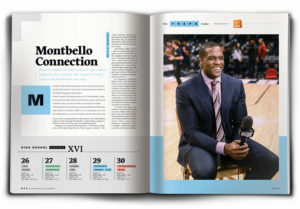 The following article is from the February issue of Mile High Sports Magazine. Subscribe here! Montbello High School has always meant a great deal to thousands of Denverites. 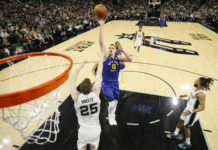 Two of them have become prominent in the Denver Nuggets’ organization. Power forward Paul Millsap grew up in the Montbello neighborhood and proudly held his introductory press conference in Denver there, but he’s not the only hoopster involved. 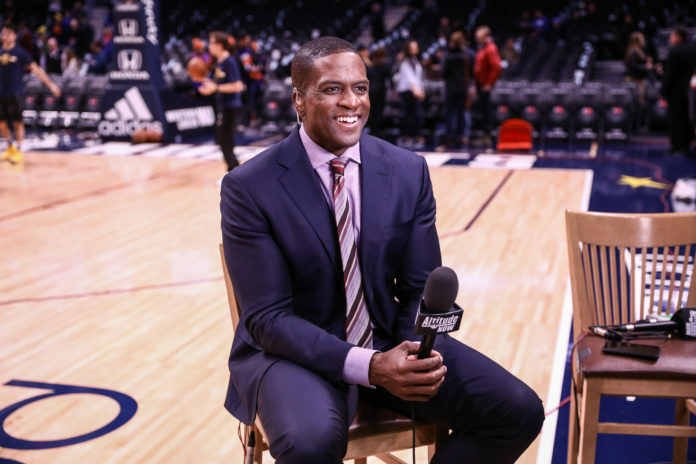 Altitude Sports’ Chris Dempsey played basketball at Montbello High School in the early 1990’s, and he also grew up in the Northeast Denver community. Millsap, the man Demspey now covers, never actually played for the Warriors. The skills Millsap began to learn through Montbello’s youth athletic programs, however, were clearly the start of something special. 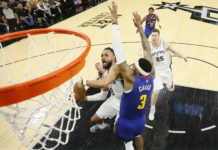 Dempsey was a good basketball player – well above average, even in the high-flying Denver Prep League, no doubt – but, unlike Millsap, Dempsey’s game didn’t ascend to the NBA. And that’s okay. To Dempsey, Montbello High School was the place he became the man he is today. For Dempsey, Montbello High School and Northeast Denver are much more than a school and a neighborhood. To him, it is home and, as they say, home is where the heart is. That is why Dempsey has done all he can to help support his community over the years, including going back to a school in Northeast Denver to spread messages of positivity. That is why Millsap – the Nuggets’ starting power forward and a one-time northeast Denver resident – elected to have his introductory press conference at the new Montbello Recreation Center – a beautiful new facility that has a full football field, a pool and, of course, a basketball court. 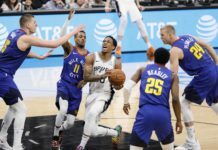 It may seem like a minor gesture to some, but Millsap’s choice be introduced there, instead of the Pepsi Center, was a monumental step towards portraying the real version of Dempsey’s hometown. “Paul Millsap lived there for what, a year?” Dempsey asked, rhetorically. “So, for him to do that, it meant a lot to people who grew up there because it put the community in a space where people had to come in and look at it and see how it is now – see how it is operating. ‘Oh, it is not as bad as we thought it was? Oh, it is not bad at all?’ That is what it meant, and for a guy like (Millsap) to do that; it really was big-time. I am glad the community and the rec center, at that point in time, really got the spotlight onto it, because it should. To highlight the positive aspects and the people doing so many good things in the community; I thought was a really great thing. To Dempsey, Montbello High School and northeast Denver are misunderstood places. Old prejudices die hard, even though the community is taking steps forward and evolving at a rapid pace. So what needs to happen for the neighborhood to be perceived as it should? “Honestly, it takes people like me, who get out and are doing things as adults, to talk the community up,” Dempsey explained. “There are so many people that I went to school with that talk the community down. They were there, and I do not know why anybody would do that. A potential that Dempsey has clearly realized. 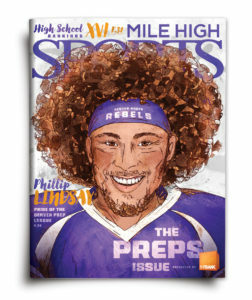 *For more from Mile High Sports Magazine, subscribe here!